If you are at least 30 years old, you probably remember the Nokia 3310. Released in 2000, the 3310 was the James Bond of all phones. The model sold 126 million pieces worldwide due to its popularity. Made from an almost indestructible plastic, the case buttressed the phone from any kind of impact. Battery life was equally badass. This thing could last almost a whole week on a single charge when the phone was new. For entertainment, you had ‘snakes’, a game that won the hearts of many people. Well like they say, all good things come to an end. After some years as technology evolved, the 3310 was relegated to the scrolls of history. In 2017, Nokia attempted to do something few manufacturers try. The large Finnish Company developed a phone in the form factor and general likeness of the original 3310. They aptly named it the Nokia 3310, although smartphone pundits added (2017) to the name for differentiation purposes. 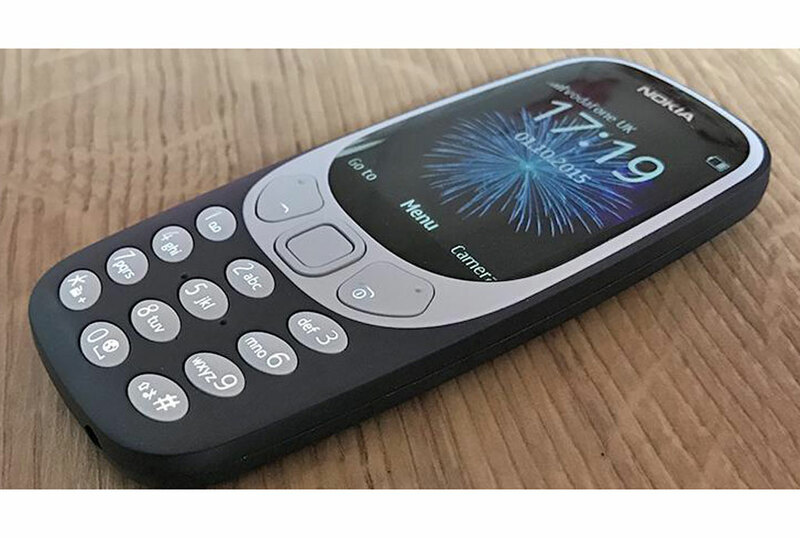 The new 3310 has a few upgrades going up its sleeve. It has more curves than the 2000 edition and features a slimmer build. The screen is significantly larger and its colour is a move away from the monochrome scheme you had with its great grand father. However, all you smartphone addicts should not get your hopes up as this is not a touch screen and all navigation will have to be done courtesy of the keypad. The new 3310 comes in four colours; red, yellow, grey and the famous dark blue that the older Nokia was famous for. You also get a removable battery at the back that sits on top of a microSD and a single micro sim slot. The phone has neither WiFi nor GPS, but Bluetooth 3.0 has been thrown into the device for a touch of modernity. Spec wise you get 16MB of ram, a 2-megapixel camera and a 1200mAh Li-ion battery. While these may be non-impressive specifications compared to everyday for smartphones, they are appropriate to the 3310. The camera has to be basic because this is a Shs170,000 phone, but also the phone is not marketed as a replacement to your smartphone. Rather, the device is a throwback that rides high on the nostalgia of the first 3310. Only people that are familiar with the 2000 handset would pay attention to this new device. The good news is that you do get an FM radio and yes a headphone jack. You also get a good old battery that will last you a whole week much like its predecessor. Stand by time is a month, which is pretty remarkable too. On the flipside, communication with this device is limited to only voice calls and text messages. For Internet bands, you only get 2G and using the 3310 to browser is cumbersome, as you have to press its buttons to scroll up and down a web page. Also, you cannot store any sizeable media files on the device without slipping in a memory card. Overall, only buy the 3310 as secondary basic phone if you are in the market for such. But if you want a heirloom that will remind you of the communication James Bond from the 2000s, you cannot go wrong with the new Nokia 3310.